Sahasra Deepika International for Education is pleased to write a recommendation for Pasand. 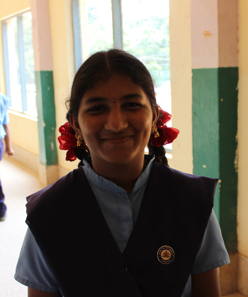 Since 1998, Sahasra Deepika Institute has provided education and care to girls from disadvantaged backgrounds. Pasand piloted their health education curriculum for girls at Sahasra Deepika Institute in Bangalore in the summer of 2014. Their curriculum empowers girls to understand their bodies and not be ashamed of their menstrual cycles. Through inventive games and culturally appropriate discussions, the girls gained a better awareness of how their body works. They also gained awareness of personal safety. We recommended Pasand to lead classes in a neighboring school in Bangalore, and they were similarly well received by students and staff. The Pasand team is a highly educated group of young women who are totally dedicated to providing girls the best information possible about their health. We were very impressed at their sensitivity to our cultural norms, at their gift for teaching, and their commitment. We wholeheartedly recommend them to conduct the Poori Pasand curriculum at your institution.